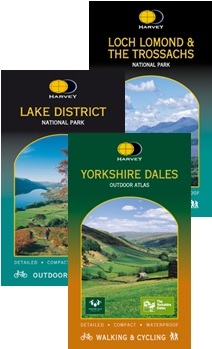 The company "Harvey Maps" was set up in 1977 to produce maps that would give people the freedom to enjoy cycling, walking and running in open spaces. From the beginning they sought to make their maps clear and easy to read. They passionately believe a map should be an aid, not a challenge. Given British weather, they also said from the start that they must be waterproof if they are to be used outdoors. For Harvey it is vital that their maps are detailed, so users can find their way confidently. To be reliable they also need to be up-to-date. To achieve these aims they construct their maps from original air surveys. 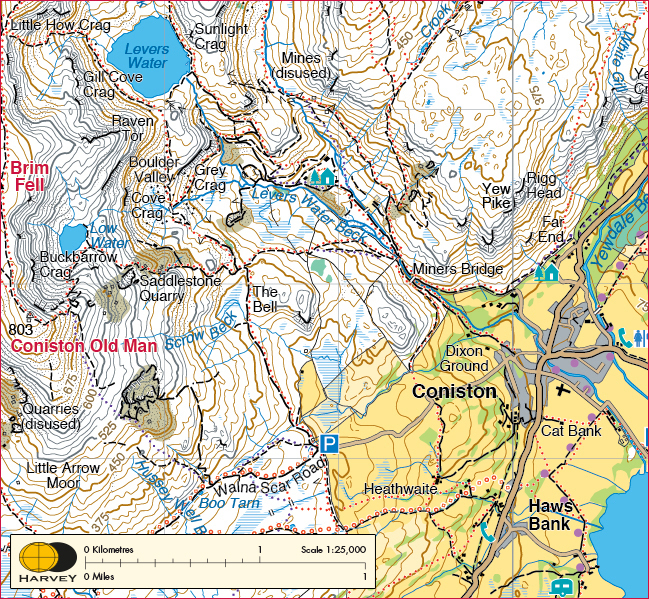 Users tell that HARVEY maps are the best in the field when it comes to navigating in the hills. Bright colors help you distinguish forest, farmland, marshy ground and others. 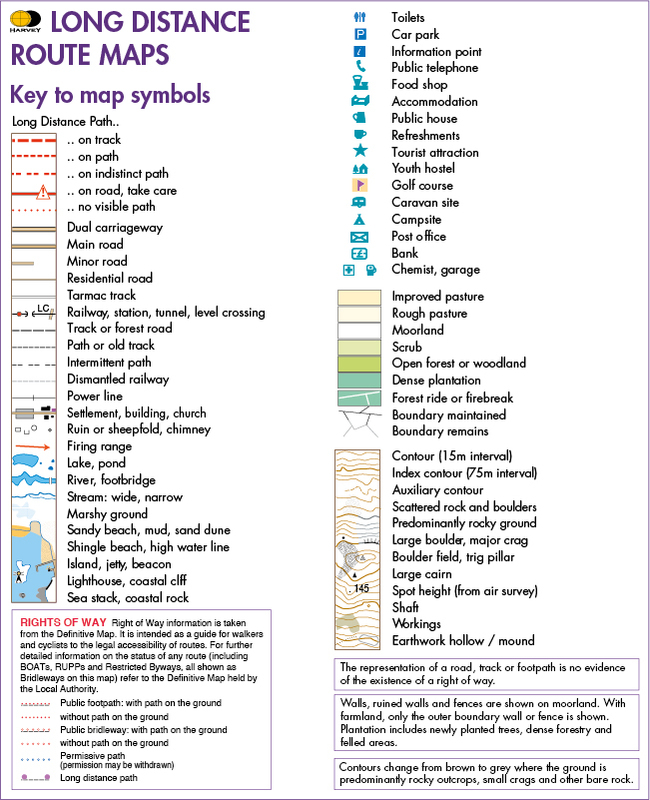 Rights of Way information give you confidence in where you can walk and the National Grid enables you to use your map with your GPS device. All HARVEY maps are waterproof as standard. 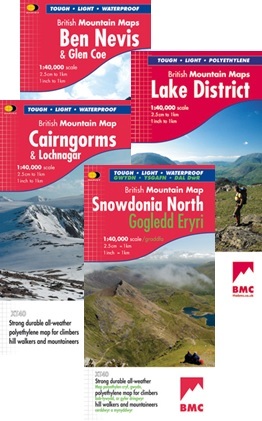 When you see XT80, XT60, XT40 or XT25 on the front of our maps, you know they are printed on the latest technology available and will withstand all the weather you can throw at them! The map is light, slim and supple when folded to fit easily into your pocket. All of the Harvey maps are made with you, the user, in mind. The ground is field checked by our enthusiastic team of surveyors so you can be sure that what you see on the map exists in the real world! 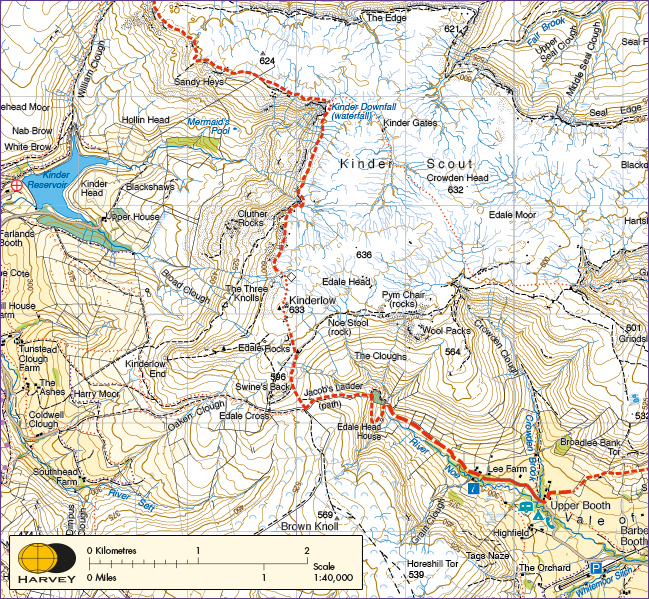 1:40,000 scale mapping made in conjunction with the British Mountaineering Council. Maps are tough, light and 100% waterproof and tear-resistant. Includes geological information from the BGS on the reverse. 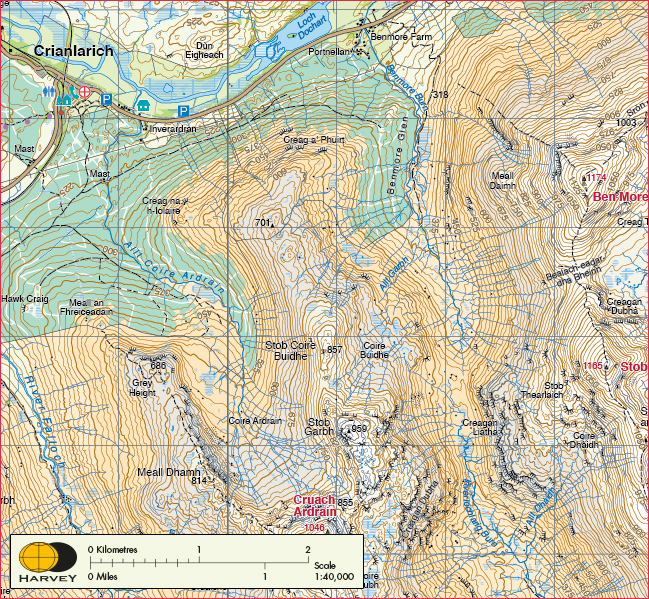 Detailed 1:25,000 scale maps of the UK and 1:30,000 scale maps of Ireland. Printed on waterproof and tear proof paper. 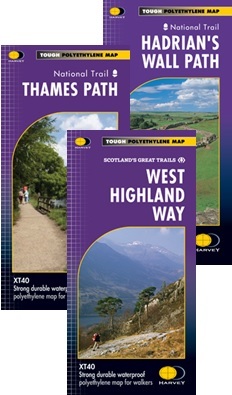 Discover the UK's National Trails and Long Distance Routes with the popular 1:40,000 scale map series. 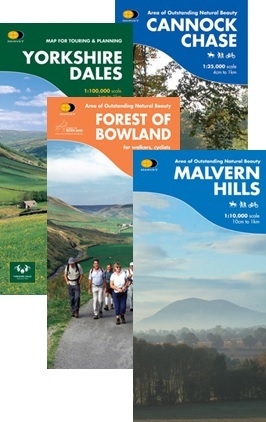 Printed on 100% waterproof paper, these maps are the perfect companion to Britain's historical trails. 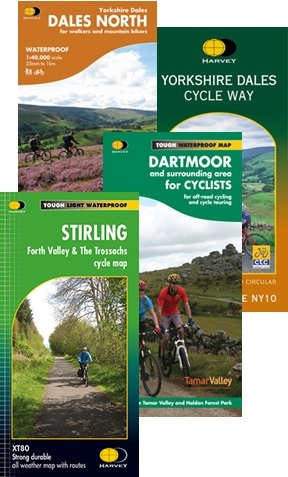 Waterproof maps with routes and facilities for cycling and MTB riding. 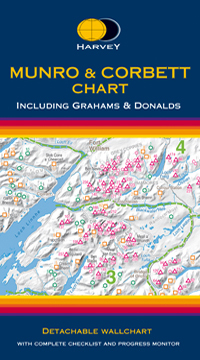 Maps of the whole of a National Park in one handy book. Detailed mapping. Ideal for walkers, cyclists, or to keep on the bookshelf or in the glove box of the car for general reference. Good overlap between pages in both directions. Several pages of introduction to the Park, including useful telephone numbers, tourist information centers etc. 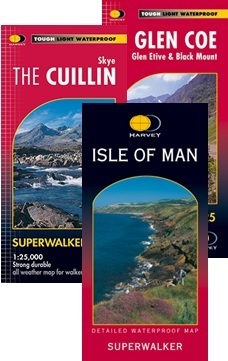 The maps are detailed and include detailed contours, water features and so forth. 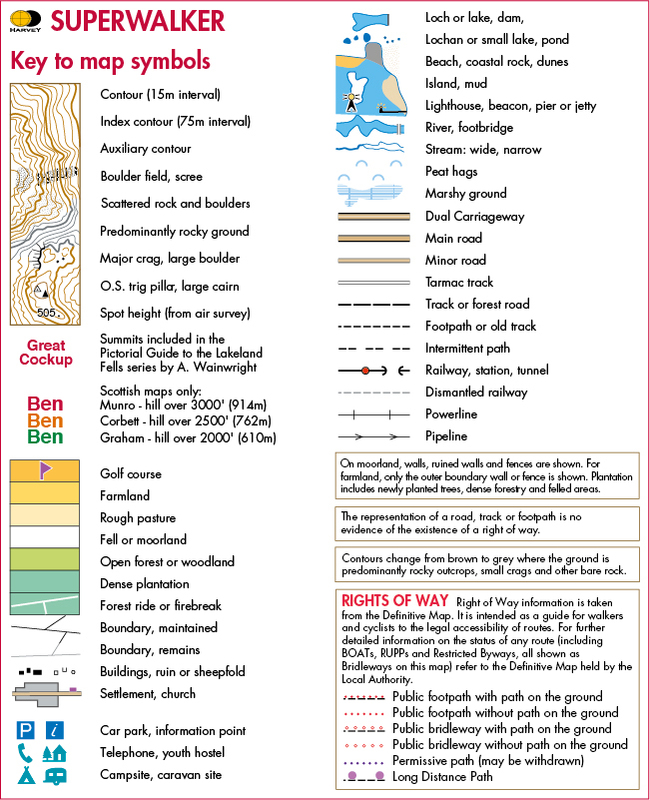 Information about the area, its wildlife and plants. Supplied in a plastic pocket. Size 880x1145mm. Detachable for wall mounting. Space for recording your date of ascent. Target to fill in as you complete the challenge. 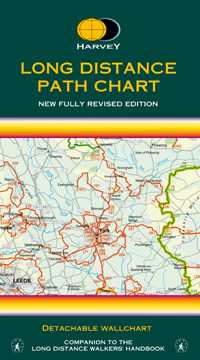 Large, full-colour chart of over 600 paths and routes including E routes. 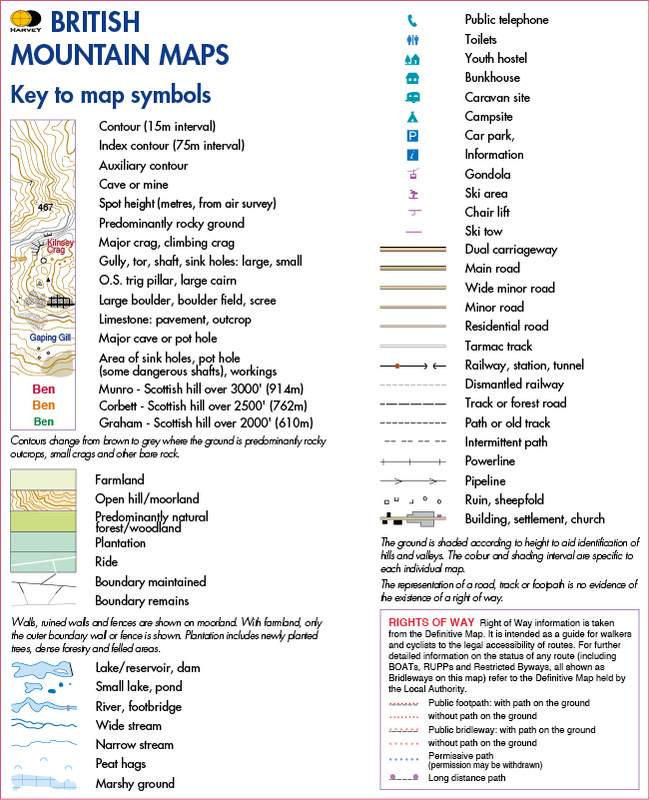 The numbering is as used by the Long Distance Walker's Association Handbook. Size 880x1150mm. Detachable for wall mounting. Large full colour panorama of the Highlands viewed from central Scotland. 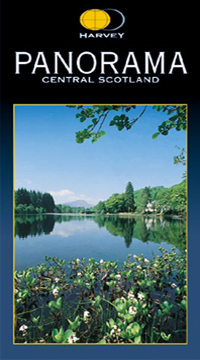 Includes on the reverse historical and tourist information, plus street maps. Size 700x840mm folded in stiff cover.